Get ready for a deep dive in this Diamondback Mission 1 review. In this Diamondback Mission 1 review, I’ll answer some of your questions and concerns about the Mission 1 mountain bike so you won’t waste time like I did when I started mountain biking. It can be hard to find the right mountain bike for your lifestyle. So many brands and features are available, you may be tempted to buy the first one that sounds good – or one that a pushy sales associate pitches to you. Buying a mountain bike without doing your research can waste time and money. I know I’ve spent a lot of time returning bikes that seemed great online, but didn’t work for me in the real world. There are a lot of choices, and bike models are always being updated and discontinued. It can be hard to keep track. I hope to clear up some of the confusion for you. If you’re in a hurry and just want to see the best price for the Mission 1, we got you covered! Click here to see the best price for the Diamondback Mission 1 bike. 1.2 What Is The Diamondback Mission 1? Figure out how much you want to spend on a new bike. Full suspension mountain bikes can run $5000 or more, so make a budget and stick with it. Buy from reputable dealers like Amazon or your local bike shop. 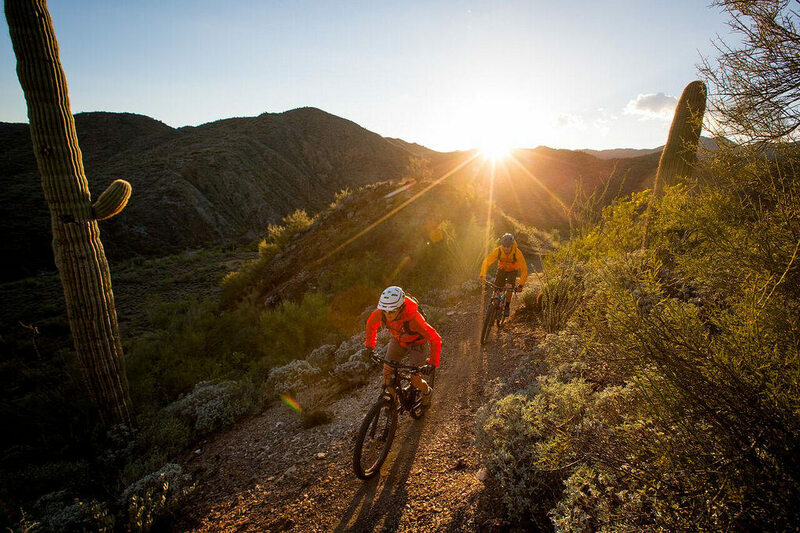 Full suspension bikes absorb more impact than hardtail bikes, which are made for riding on smoother surfaces. A hardtail bike has a solid frame with a suspension fork on the front. A full suspension mountain bike has a fork out front, but it’s made with a front triangle and rear triangle linked together with pivots. The two sections on a full-suspension bike moves independently. A “shock absorber” controls their movements. The suspension you need depends on the terrain and the style and type of riding you want to do. 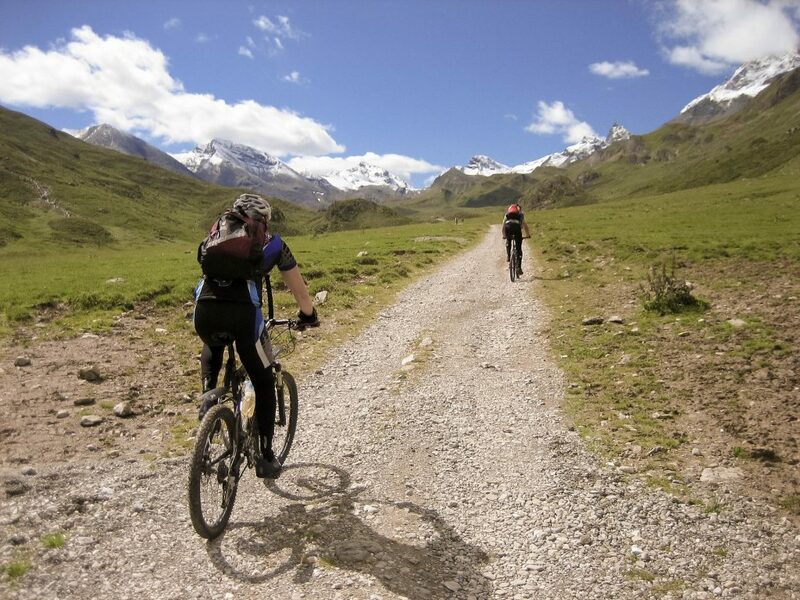 Mountain and trail bikes have between four and six inches of suspension and are made to handle tougher terrain. Mountain bikes don’t have a as much suspension compared to bikes used by cycling pros. Freeride bikes, often used for “trick riding”, have six to eight inches of suspension travel, and downhill bikes provide seven to ten inches for speed and downhill racing. Buy a full-suspension bike if you normally ride difficult trails and do a lot of uphill biking. For city riding or leisurely biking on smooth ground, buy a hardtail bike. Hardtails are cheaper and easier to repair since they’re made of a single frame. What Is The Diamondback Mission 1? The Diamondback Mission 1 makes mountain and trail rides easier. It’s great for singletrack and fast rides on even the most challenging trails. The 2017 Diamondback Mission 1 come with a 6061 aluminum frame, a Fox Float DPS rear shock, and Diamondback’s exclusive Knucklebox suspension design. The Diamondback has a 142x12mm rear to protect the bike (and you) from trail slop. The 27.5 inch wheels have WTB Vigilante Comp tires for more grip on the trail. Compared to the 2017 Diamondback Mission Pro Mountain Bike, the Mission 1 offers you a lot more bang for your buck. The Mission Pro retails at $5000. For the all that additional cash, you don’t get that much more than the Diamond Mission 1, which retails at just under $3000. The Mission Pro weighs 32 pounds, which isn’t bad, but the slightly lighter Diamondback Mission 1 is easier to handle along curves. The Diamond Mission 1 has 160mm of front and rear suspension to give you the best ride no matter where you roam. UST tubeless tires made from high-quality WTB Vigilante Enduro measure 27.5 x 2.3″ to give you better traction. The 2017 Diamond Mission 1 has an 11-speed KMC X11EL chain and an SRAM PG 1130, 11-speed 11-42T cassette for quick adjustment to handle slow rides or speedy trail runs. The frame is lightweight but sturdy, and won’t weigh you down. It’s made of 160MM 6061-T6 weapons grade aluminum. The bike’s weight depends on sizing, but the difference between a small and large frame version shouldn’t more than a few pounds. The total weight should average around 30 pounds for most sizes. Ask your dealer for weight based on specs for your size bike. The Diamondback Mission 1 will make biking easier if you do most of your riding on mountain trails or gravel roads. You can climb uphill with no problems, and the extra traction tires handle even rocky trails like a dream. In addition to the full-suspension construction, which gives you more ease of movement, DB has included a slew of improvements on the Diamondback Mission 1 2017 model. The fat tires on the Diamond Mission 1 grip the trail better, not matter how rocky or rough. The Mission 1 has thicker treads to keep you riding steady, regardless of the surface. Single-sided hardware on the bike’s three main pivot points helps support weight better. You won’t need to deal with extra breakable parts. The durable LV rear suspension and Fox 34 Float CTD air front provide extra cushioning against unexpected hazards on the trail. For older riders like my Dad, the extra absorbent frames help prevent falls and injuries even in less-difficult terrain. The SRAM NX- X-Horizon 11-speed rear derailleur helps you shift silently when you want and where you want. The Diamondback Blanchard 28R tubeless compatible rims look great and are wide and strong enough to support wheels through any terrain or weather. Hydraulic disc brakes bring your bike to a smooth, quick stop with hardly any effort on your part. The Diamondback Mission 1 has an SRAM lever hydraulic disc with 180mm front and 180mm rear centerline to give you more leverage when maneuvering tough trails. SRAM is one of the leading suppliers of mountain and competitive bike components, and I always look for their brakes and accessories when buying or repairing a bike. These wheels give your bike the ability to glide over difficult terrain more easily than the smaller 26 inch size. Unlike the 29 inch size, the mid-range wheels are easier to maneuver. The Mission 1 has a wheelset hub made of 32H alloy with a 15mm thru-axle, sealed cartridge bearing to withstand even the nastiest uphill climbs. A mountain bike frame doesn’t have to be steel or titanium to be strong. The Mission 1 has a lightweight frame made from weapons-grade aluminum. Ride into the great unknown. All Diamondback mountain bikes have features you can’t get in generic hardtail bikes. I like the flat handlebars, aluminum frames and hydraulic brakes you find on most of their models. The Mission 1 2017 has a few of these features and several other attributes that make it a great value. You don’t have to worry about traction with Diamondback’s exclusive Level Link system. It activates suspension to give you better pedaling control and traction. The patent pending mechanism places lower linkage inline and much higher than other bike brands and inline with the chain. I’ve noticed a change for the better in my rides along trails in L.A.’s Griffith Park. I can pedal faster without worrying about maintaining control of my bike. I have no idea why Diamondback calls their patented suspension system “Knucklebox”, but it keeps your center of gravity stable while your bike descends. This “Knucklebox” really helps when you’re riding crazy-fast down hills. You need to measure any bike you’re interested in to make sure it’s comfortable to ride. The Mission one comes in small, medium, large and extra-large. You’ll need to check 17 different measurements to find the best size. You’ll need to choose a bike that can accommodate your height and leg inseam (simple enough). Take a few other measurements of the bike itself to make sure you have the perfect fit. The Diamondback Mission 1 2017 has a list price of, $2599.99, although you can get it discounted on the Diamondback website, from online mountain bike retailers, and during sales at your local bike shop. It is a good deal for a mountain bike under $3000 because it provides all the features a non-competitive biker needs – hydraulic brakes, lock-on grips, a Race Face Turbine 32-tooth crank and lots more. After checking out user reviews on the internet, I found a few from riders who had many positive things to say about their experiences with the Diamondback Mission 1. Several riders liked the hydraulic disc brakes, lightweight aluminum frame, and the sticky traction on the tires. 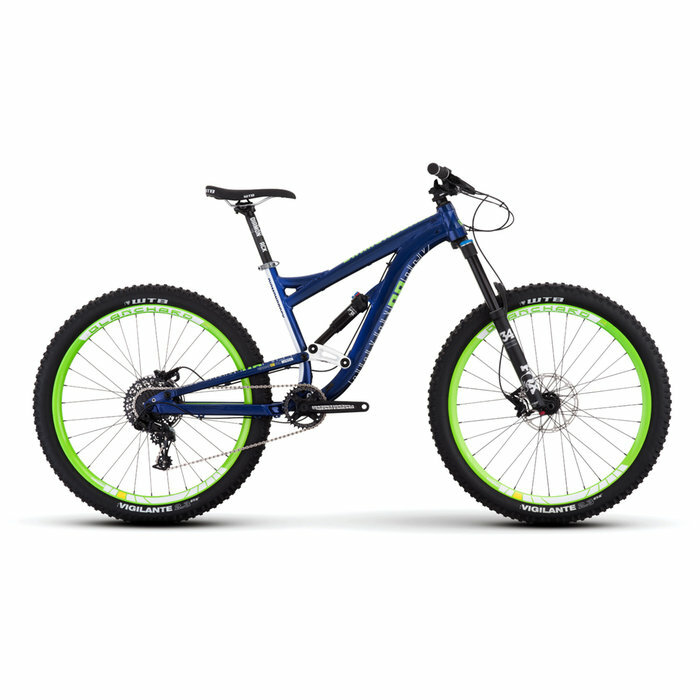 This reviewer on the Diamondback website praises Diamondback Bikes and the Mission 1 in particular. Here are a few alternatives to the Mission 1 if you find it has most of what you need, but misses out on a few major features. You might consider spending more for a faster bike, one with a steel frame instead of an aluminum frame, or one that can climb more easily. Diamondback Catch 2017: The Diamondback Catch has the same Level Link system as the Mission 1 and lighter than the Mission 1 by a few pounds. It’s an excellent choice if you climb uphill with your bike because of the 130mm X-Fusion O2 Pro rear shock. The mixed SRAM NX11-speed drivetrain reduces weight and lowers chance of mechanical problems. Click or tap here to learn more about the Diamondback Catch 2017. 2017 Diamondback Mission Pro: The Diamondback Mission Pro has a few minor differences from the Mission 1. It has Shimamo brakes, shifters, chains and cranks instead of SRAMS, not that the change is that big of a deal to casual riders. With a higher threshold for intense mountain rides, the 160mm point-and-shoot suspension travel, it’ll work anywhere you want to go. The Mission Pro is the highest-end mountain bike in the series, with a list price of just under $5,000. Click or tap here to learn more about the 2017 DB Mission Pro. Diamondback Release 2: With Level Link suspension and a strong aluminum frame, the Diamondback Release 2 is a good choice if you want the high-end Mission Pro, but can’t afford it. It descends and climbs, with a newly designed release pedal. With 27.5 tubeless ready Schwalbe Hans Dampf tires, SRAM DB5 disc brakes, the Diamondback Release is right in the middle of Diamondback’s line of mountain bikes, performance-wise and price-wise. The modern geometry of this bike( a fancy word for design) lets you ride as fast as you want. Click or tap here to learn more about the Diamondback Release 2. The Diamondback Mission 1 offers a great solution for beginning and intermediate mountain bikers who want the best full suspension bike without shelling out lots of cash. You can’t explore challenging trails with a standard bike; you need a one especially made for the twists and turns of the mountain trail. The unique Level Link suspension protects you from quick turns, accidents and debris along the trail. The Knucklebox suspension system keeps you safe even at high speeds. The bike is lightweight, but is built with SRAM components and other high-quality parts. Check out the Diamondback website for more information on the Mission 1. Diamondback sometimes has online sales that can save you hundreds of dollars on this full suspension bike. I hope this Diamondback Mission 1 review has helped you learn more about this popular bike and mountain bikes in general.